Defending champions Spain are the big favourites to progress from Group D but Croatia, Czech Republic and Turkey will be a tough opposition. 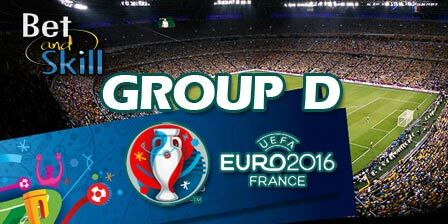 Find here our Euro 2016 Group D betting preview including predictions on Group Winner, Not To Qualify, To Finish Bottom and Straigh Forecast. 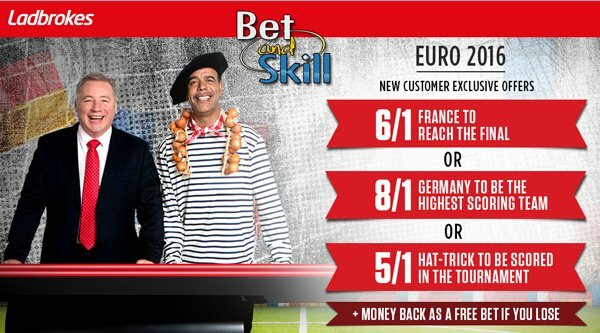 Plus, the best odds, free bets and no deposit bonuses on France 2016! Spain will look to win the Euro Cup for the third time in a row. After their early exit from World Cup 2014 in Brazil, they were near perfect in qualification with nine wins in 10 games and only three goals conceded. Their only loss a 2-1 defeat to Slovakia away. Del Bosque's men lost 0-1 their last friendly to minnows Georgia. Fernando Torres and Diego Costa have bee left out, so the attack is all on Morata, Aduriz and Nolito's shoulders. This could be a concern given that those strikers only have 4 international goals in 19 games between them. Anyway, Red Fury has already shown they can make it without a pure striker. Croatia advanced to Euro 2016 as Group H runners-up in qualifying, 4 points behind Italy, after an impressive campaign that saw them lose only one game (2-0 away to Norway). They scored the most goals in the group (20), conceding just five. Croatia has talent in every part of the pitch. Up front, Mario Mandzukic is a warrior and has had a fine season at Juventus; Ivan Perisic offers width and goals. Luka Modric, Ivan Rakitic and Mateo Kovacic form one of the msot technical midfield of the Euros. Czech Republic won their group in qualification beating Netherlands, Turkey and Iceland in Group A with seven wins, a draw and two losses from their 10 outings, while scoring the most goals (19). They have not had a great time on the pitch in the last few matches, even if they did gain some confidence after they beat Russia 2-1 in the last international friendly match a few days ago. The Czech’s attacking style will make them an entertaining outfit to watch at Euro 2016, but their style and inconsistency could leave them exposed. Tomas Rosicky, despite hardly featuring for Arsenal, will be key to the Czech’s success in the tournament as well as veteran goalkeeper Petr Cech. Turkey also qualified from Group A after finishing 3rd with 18 points. Wins over the Netherlands, Czech Republic and Iceland in their final three Group A qualifiers secured their place in France. They have a good mix of youth and experience, players who can give Spain, Croatia and Czech Republic a run for their money. Key players include the likes of Arda Turan and Hakan Calhanoglu from midfield while Burak Yilmaz will likely be the main source of goals up front. "Euro 2016 Group D predictions, betting tips, best odds and free bets"